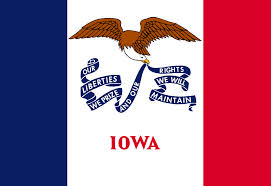 Welcome to the webpage of Iowa's network of human rights academics. Established in 2014, the network consists of instructors and administrators from Iowa's universities, private colleges, and community colleges. We are committed to connecting interested academics to enhance human rights teaching and scholarship at institutions of higher education across the state. For additional information, please contact Brian Farrell at the University of Iowa. The fifth annual Iowa Human Rights Research Conference takes place on Saturday, April 13, at the University of Iowa in Iowa City. The conference is hosted by the Iowa Network of Human Rights Academics and the University of Iowa Center for Human Rights. We're excited to announce that the fifth annual Iowa Human Rights Research Conference will take place on Saturday, April 13, 2019, at the University of Iowa College of Law in Iowa City.